Customers appreciate when businesses cater to their needs. This should go without saying. So, why is it we’re still pleasantly surprised when we find one that really puts their money where their belief system is and does something good for both their clients and the environment? Take this A&W Root Beer stand, for example. While driving through rural Wisconsin recently I was hungry and needed a rest stop and when I saw the sign for the A&W I thought, “Wow, it’s been ages since I’ve had a root beer float. Let’s stop here!” As I rolled up to the store I was caught off guard with the premium parking spot reserved for clients with electric cars. Who knew the electric cars could even make it that far out from urban areas? My number one reason for not getting an electric car is I travel long distances frequently to places where airlines and electric recharging stations dare not venture to go! 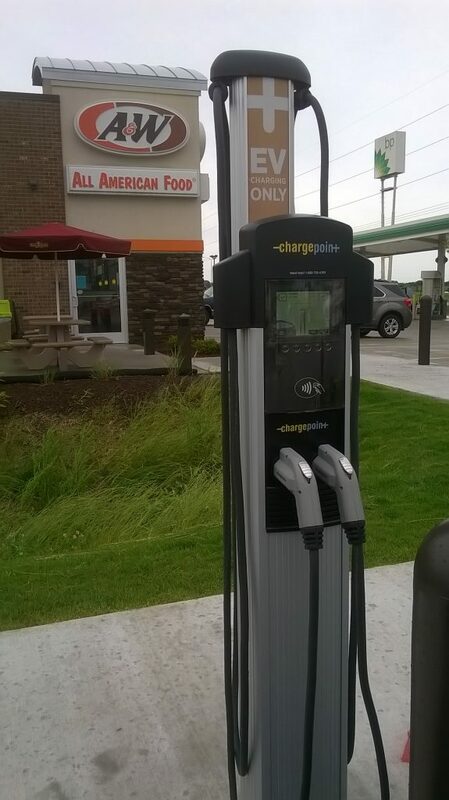 Yet, here it was, an electric recharging station at this tiny A&W Root Beer stand. What a commitment to providing an exceptional client experience!